As a trial attorney, you have the weight of the world on your shoulders. The Wisconsin Association for Justice has the tools to help lighten the load. Members of WAJ enjoy amazing benefits to help them in the courtroom, on appeals, in trial preparation and more. Below are a few ways in which WAJ can help you in your practice. WAJ Listservers: The Wisconsin Association for Justice operates invaluable email discussion group allowing trial attorneys to exchange information and seek solutions to difficult issues from other members from nearly every county in the state and in specialized practice areas. CLE Seminars: Our continuing legal education seminars have been rated the best in the state, with incredibly talented and insightful faculty covering the most current legal issues. As a member of WAJ you will receive discounted registration fees, and opportunities to participate in our seminars online. Case Evaluation Clinics: Our case evaluation clinics provide member attorneys with a unique opportunity to have their case reviewed by a groups of their peers. These clinics are held in conjunction with WAJ's CLE seminars. 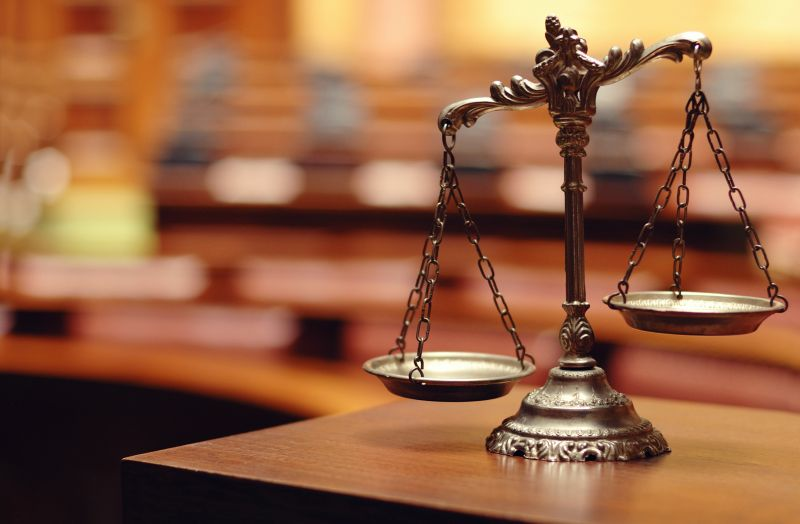 Amicus Curiae: WAJ runs a highly trained committee of trial attorneys who draft and present Amicus Curiae briefs in appropriate cases before the Wisconsin Court of Appeals and Supreme Court that benefit member cases. Research: Our talented research team can provide members with answers to difficult legal questions. Legislative Representation/Public Relations: Our profession and the civil justice system have been the subject of countless attacks for decades. The Wisconsin Association for Justice has forged new partnerships to reverse this dangerous trend. These relationships are already making strides in the Capitol as well as with the press and the public. TrialSmith: TrialSmith is a comprehensive resource for litigation documents and investigative tools including the largest online deposition and expert witness bank in the world. New WAJ members can sign up for a free one-year subscription, a $449 value. 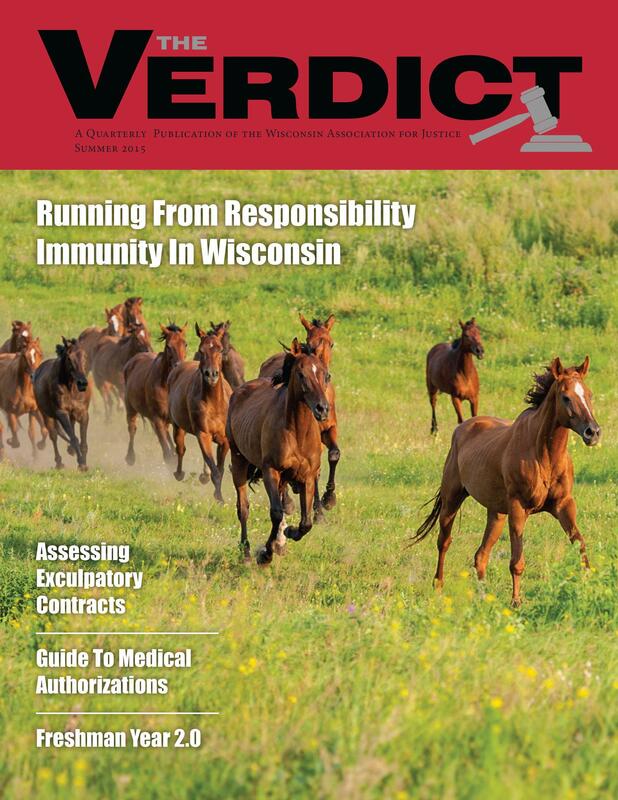 The Verdict: WAJ members receive this prestigious quarterly publication free with their membership. The Verdict contains detailed information on some of the latest legal questions, as well as articles covering issues ranging from news inside the Capitol to WAJ services and events. New Lawyers Section, Women's Section, Paralegal/Support Staff Meetings: Held regularly throughout the state these meetings provide a great place for members to discuss issues, receive updates on WAJ services, and network with colleagues. We, as trial attorneys, are stronger and better equipped to halt the negative effects of well-funded interests determined to undermine our civil justice system and our profession. Members of the Wisconsin Association for Justice find tremendous benefits for their practice and help protect our profession! Join the Wisconsin Association for Justice today.